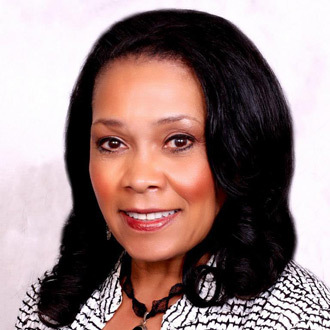 San Diego, CA – San Diego City Council President and National University alumna Myrtle Cole— the first African-American woman elected to the City Council and to serve as its president—will be the keynote speaker at the Southern California Commencement of National University. Cole, who started her public service career in law enforcement, will address approximately 20,000 graduates and their families and guests on June 17 at Petco Park. This marks the second year the event is being held in the ballpark by the University, which is one of the largest private, nonprofit universities in the state. In recognition of her lifetime dedication to public service, Cole will receive an honorary doctorate. Cole’s career in public service started in law enforcement with the Tucson, Ariz., Police Department shortly after earning her bachelor’s degree in business administration from the University of Arizona. After moving to San Diego, she rose to the rank of lieutenant with the San Diego Community College District Police Department. After earning her degree from National University, Cole worked as a campaign manager and staffer for several city council members. She also served as a San Diego Regional Coordinator for United Domestic Workers of America, working on behalf of care providers to thousands of low-income seniors, children and people living with disabilities. Voters elected Cole in a special election held in late 2012, and she was elected to a full term in June of 2014. In addition to Cole, many of the region’s government leaders and elected officials have earned a National University diploma, including former San Diego City Council member, Marti Emerald, who served on the council at the same time as Cole; former San Diego Mayor Jerry Sanders, now president and CEO of the San Diego Chamber of Commerce; former Mayor of Escondido Lori Holt Pfeiler, who is now president/CEO of San Diego Habitat for Humanity; John Bolduc, chief of the San Diego Harbor Police.